The five dollar bill is arguably the most dynamic slip of currency here in America. These days, with $5.00 in pocket, schoolchildren and unemployed bachelors are often left to choose between buying lunch or yet another game on Steam that they will never play. Croixleur (official site here) is a Japanese hack-and-slash game from doujin circle souvenir circ. and brought to English-speaking audiences by independent game publisher Nyu Media. Croixleur is the embodiment of the five-dollar video game that has risen to bargain-basement prominence for people who don't have more than six dollars and change in their checking account on any given day. 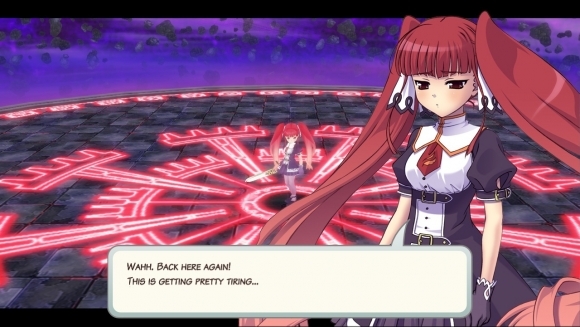 Croixleur is an anime game about a tsundere anime loli embroiled in some sort of gladiatorial competition against an ojou-sama anime loli to reach the end of a dungeon that will somehow benefit a kingdom or something. I don't know, I skipped most of the dialogue in the beginning. The story doesn't really matter though; it's all about the gameplay. Actually, it might be a stretch to say this game's even worth spending the fiver for the gameplay. Croixleur claims to come from the same vein of action games as Devil May Cry , but it's really more of a Devil Might Cry ... Maybe. Croixleur plays like a competently designed beat 'em up from the early '00s, with all the redundancy and forgetability of pre- DMC titles of that era. In a sense, it's a lot more like the battles from Kingdom Hearts envisioned as being The Point of the game without any of the window dressing that kept people who didn't know better invested in it for all these years. 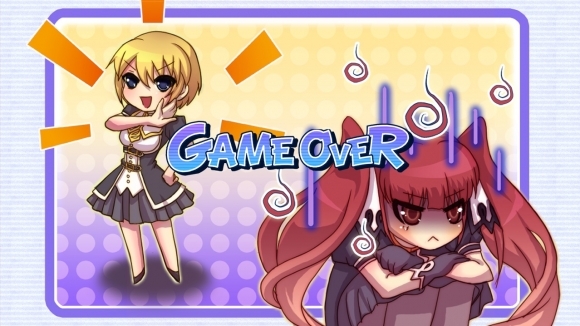 As it's very limited in scope, Croixleur embodies the idea of the five-dollar game. There are three game modes, but the only one that really matters is Story Mode. 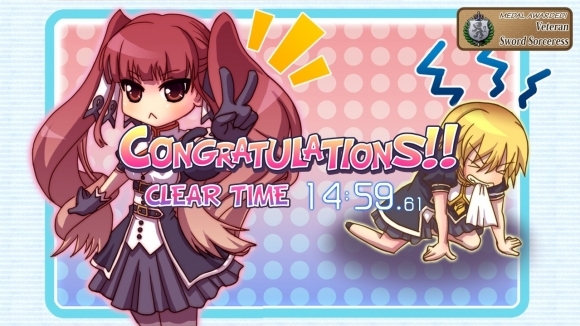 I'm not lying when I say the entirety of Croixleur can be beaten in 15 minutes, giving players 3 minutes of gameplay to the dollar, but it took me several attempts after the game crashed once and the one time the game refused to recognize my gamepad. When players die in the game, they have to start over from the beginning. This gets all the more tedious when forced to swat the same set of shadowy imp-things and palette-swapped bats and wizards every time through. The game isn't exactly tough; it's just easy to lose concentration from the repetitive nature of the gameplay. I mustered up the patience to beat the game once after saving my Spin-to-Win bomb attacks for the dragon at the end of the dungeon, but I believe there's a real ending to the game that I'll likely never see since the story isn't particularly involving and mastering the gameplay isn't worth investing another hour or two. Being perfectly honest, the real selling point for Croixleur is the homebrewed "Made in Japan" aesthetic and feel along with this vague promise that supporting a game like Croixleur means supporting Japanese game development at large, something like, "if I buy Croixleur now, maybe something better will come around in the future (fingers crossed)!" The problem with telling it how it is with Croixleur means throwing all that good will shown by publishers specializing in Japanese games to the side. Yeah, it's five dollars, but in this age of Steam sales, where I can buy something like Hotline Miami or Torchlight for five dollars, Croixleur is still a game I would wait to buy during a sale or get for free from someone I know. There are games that are free to play that can provide a far more engaging experience, just as there are $60 dollar games that are fundamentally broken out of the box and not worth the disc they're pressed on. For what it's worth though, Croixleur is still a whole lot less offensive than the new Devil May Cry . Also, check the Clear Time: clutch victory with 0:00.39 seconds left on the clock. Damn, I'm good at video games. This review is based on a downloadable review copy provided by the publisher.